The first fort at Middle Head was built in 1801 and the last batteries were constructed in 1942. The battery on Middle Head built in 1871 was designed by James Barnet, a colonial architect. The fort was built on a strategic location and received many additions until 1911. It formed part of a network of 'outer harbour' defences. They were designed to fire at enemy ships as they attempted entry through the Sydney Heads. 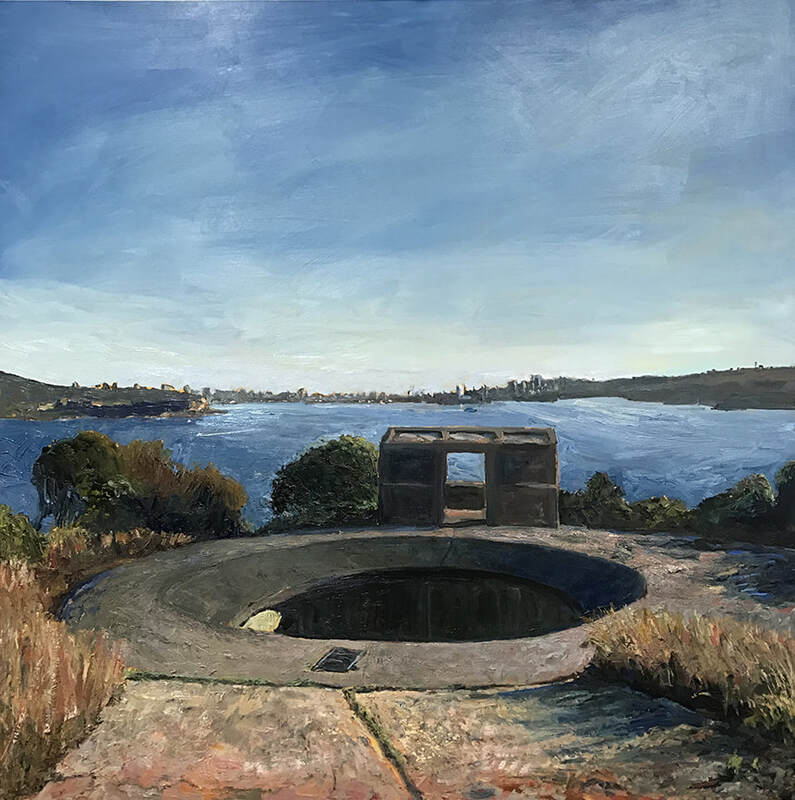 I often paint outdoors at this location being drawn to the high contrast of the forts of Middle Head, the native bush and Sydney Harbour. Set against the splendour and hedonism of Sydney Harbour, the remains of the forts today still express a surreal and slightly dark quality through their brutalist form. They stand as a stark reminder of a different time and ethos of Sydney, from early settlement through to World War II, when Sydney was under attack from foreign forces. 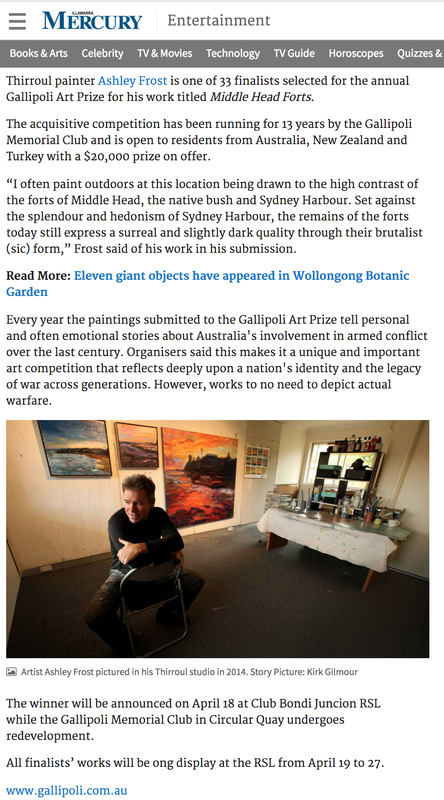 Today they are a little known historical outpost, nestled in the leafy, affluent suburb of Mosman. However upon visiting the site, one is compelled to reflect on both our former and current military conflicts, and to be thankful that war remains, somewhat at arms length, to what has to be one of the greatest harbours in world.